Stop worrying about what to do with your sweetheart in New York this Valentine’s Day. We know that New York is one of the most expensive cities out there, so we’ve asked around to get you the best NYC Valentine’s Day Deals so you can show that special someone just how much they mean to you without going broke. These aren’t necessarily the cheapest NYC Valentine’s experiences, but the coolest, most memorable experiences you can have! You know there’s more to NYC than the island, right? Why not take an excursion to one of Astoria’s most romantic restaurants, DiWine Restaurant & Wine Bar. 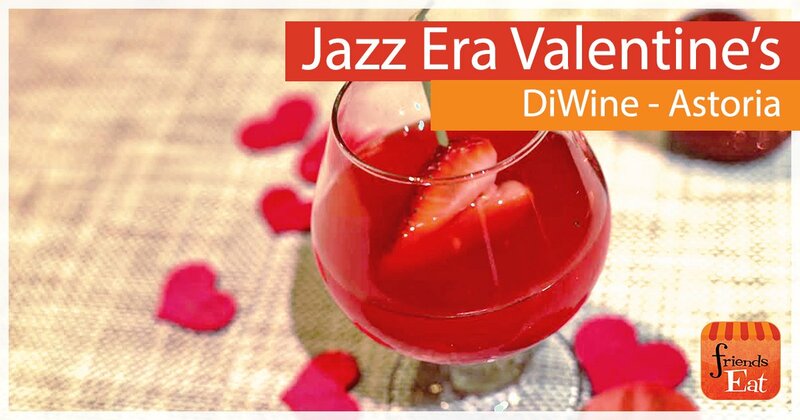 This year, DiWine is putting on a Jazz Era Valentine’s Day celebration that includes a prix fixe menu showcasing two themed cocktails. The Glitter Valentine will have you head over heels. It’s made with vodka, strawberry, cocoa, lemon, vanilla, AND edible glitter. To really take you back to the Jazz Age, order the Jack Rose cocktail; it’s a cocktail that was very popular during the 1920s and ‘30s. What’s it made with? Applejack brandy, Grenadine and lemon. 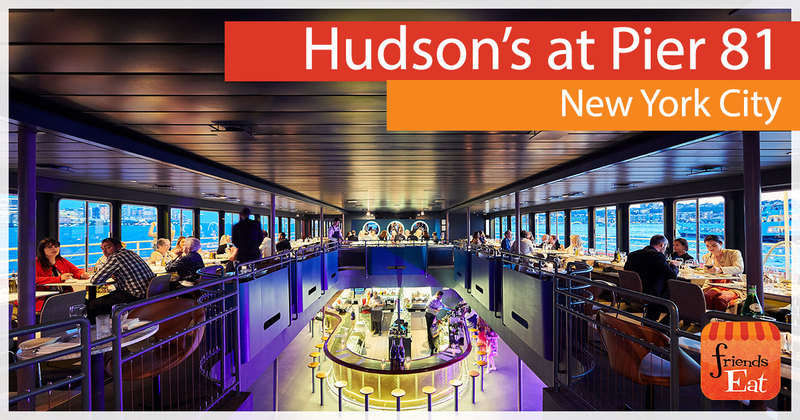 The Chris Beaudry Trio will be serenading guests between 8 p.m. – 11 p.m. with their mellow and sophisticated jazz standards, Brazilian bossa nova, American songbook standards and a selection of contemporary, pop, blues and R&B music. Not all Valentine’s celebrations in New York have to cost an arm and a leg…The Wilson is debuting a DIY S’mores Bar this Valentine’s Day. For only $10, guests can indulge in the nostalgic dessert and build their own perfect s’mores. A Valentine’s Day prix fixe menu will also be available and includes three courses for only $49 per person. You can choose from three delicious starters, then select either Hanger Steak, Blue Crab Carbonara or Apple Cider Brined Chicken Chop as an entree. Finish with a choice of Smashed Carrot Cake for two, Flourless Chocolate Cake, or the S’mores Bar (for a $5 supplement). Experience Sicily’s goal is to bring the heart of Sicily to New York. 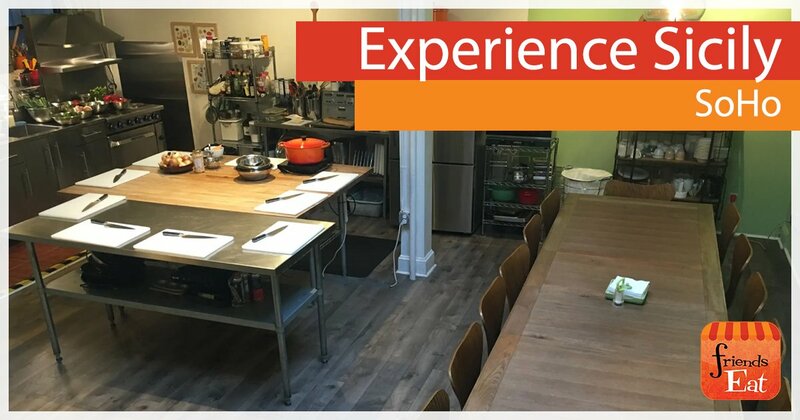 This February 16, they are hosting a special evening in a private loft space with an open kitchen in SoHo featuring two Sicilian chefs who are crafting a gorgeous menu, live Sicilian serenades, and even a raffle of Sicilian artisanal products. It’s limited to 16 people, making it molto speciale. Insalata di Mare alla Palermitana (Palermo-style frutti di mare salad cracked Sicilian green olives served over a bed of potato puree). For the main course, you and your sweetheart will enjoy a Risotto Cremoso (Risotto with creamy asparagus, gulf shrimp, and crushed pistachios) followed by Tonno in Crosta di Sesamo (Sesame Seed Crusted Tuna Steak) accompanied by an Insalata d’Arance alla Palermitana (Palermo-style orange salad). Top cap off the evening, bite into a Mousse di Ricotta con Fragole e Cuoricini Croccanti (Strawberry ricotta mousse with crispy cannoli shell hearts). Purchase your tickets here, and use the coupon code AMURI before February 4, to qualify for $30 off per ticket. Sure, dinner is great…but how about doing something together…like making your own boozy ice cream. 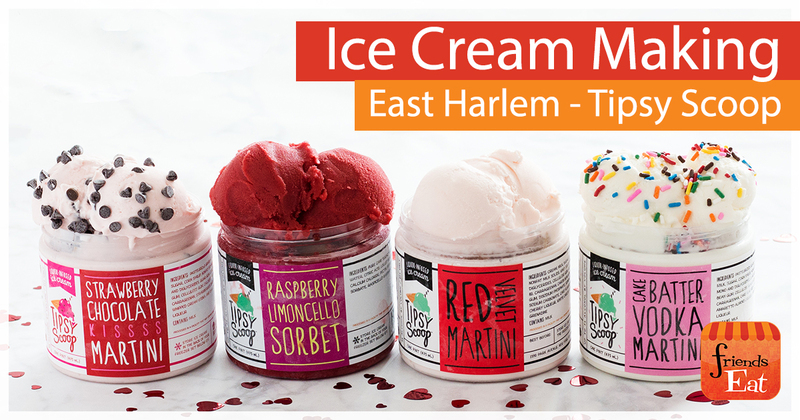 Tipsy Scoop, a liquor-infused ice cream parlor is running a make your own ice cream class – which would make a perfect present for that special someone. This year they’re holding their special Valentine’s Day themed classes where you and your boo will learn how to make their most popular flavor, Dark Chocolate Whiskey Salted Caramel, and their seasonal Valentine’s Day Flavor, Strawberry Chocolate Kisses Martini. You’ll also get to taste other flavors, build your own ice cream sundaes, snap TONS of Instagram-able photos, and take home two of the pints you make in an insulated Tipsy Scoop tote bag! A New York Valentine’s Date for under $20? Yup…It’s true. Tartinery knows we’re not all loaded…and that your special someone deserves a special treat at an upscale Parisian café specializing in Paris’ signature dish, the tartine. 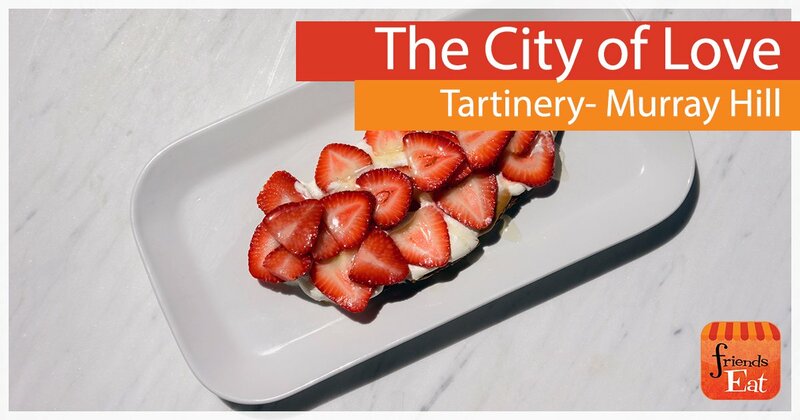 Lovebirds looking for a sweet way to cap off a romantic day in the city can go to Tartinery this February 14th for shareable strawberry tartines (a delicious baguette topped with dulce de leche, whipped cream + strawberries) and two glasses of Prosecco for just $14.00 (a $22.00 savings!) That’s a New York Valentine’s Date idea we can get behind. If you’re looking to create an entire evening of Romance in New York this Valentine’s Day, perhaps Gaby Brasserie and the Sofitel could be the perfect answer for you. 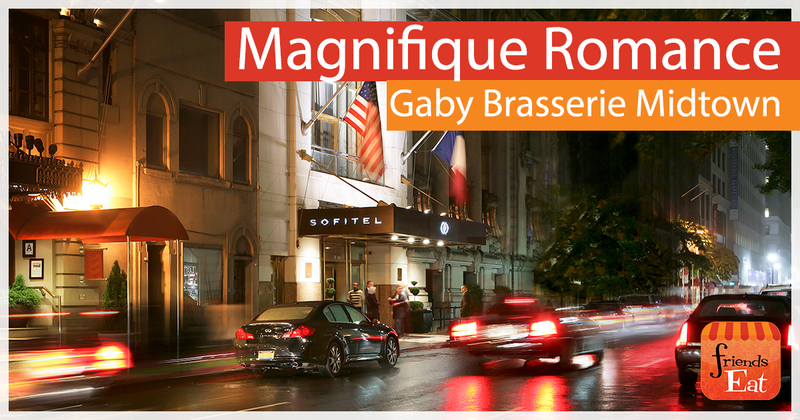 French is the cuisine of love, and Gaby Brasserie will feature a menu inspired by the allures of Paris. Burrata, branzino, and crème Brulee will delight the sense in Executive Chef Robert Hohmann’s lineup of French-inspired cuisine. 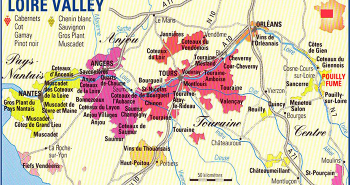 Gaby’s prix-fixe menu ($89 per person) includes a half-bottle of Moet and Chandon for the couple. Before (or after dinner), you and your beaux are invited to stroll through the hotel’s lobby, which will be converted into a gallery featuring a collection of vibrant works by artist Fer Da Silva entitled “The Power of Love.” Colorful hearts of all shapes and sizes, collectively referred to as “Corazón de Fer,” will be hung through March 15, spreading the artist’s message of unity and love. There will also be a one-stop Love Pop Up Shop where works by Da Silva, candles by The Sphinx and the Priestess, Gaby’s macarons and more will be available for sale. And those in search of romantic guidance can participate in mini tarot card readings by The Sphinx and the Priestess co-founder and Tarot reader Hayley Elisabeth Kaufman. Sessions are $25. Finally, if you so choose, stay the night…The Sofitel has a gorgeous Valentine’s Package that includes Champagne, chocolate treats, breakfast for two at Gaby Brasserie and a 4 p.m. late checkout. Rates start at $262 per night! 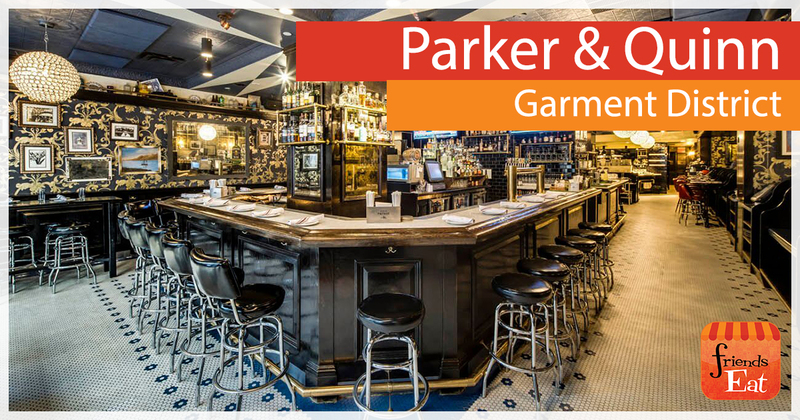 Trademark Taste + Grind’s Valentine’s Day three-course prix fixe menu starts with a welcome drink, then choose from three equally tantalizing starters before the main course of either Long Island Duck, Cod with chorizo and clams, Beet Ravioli or Braised Short Rib. 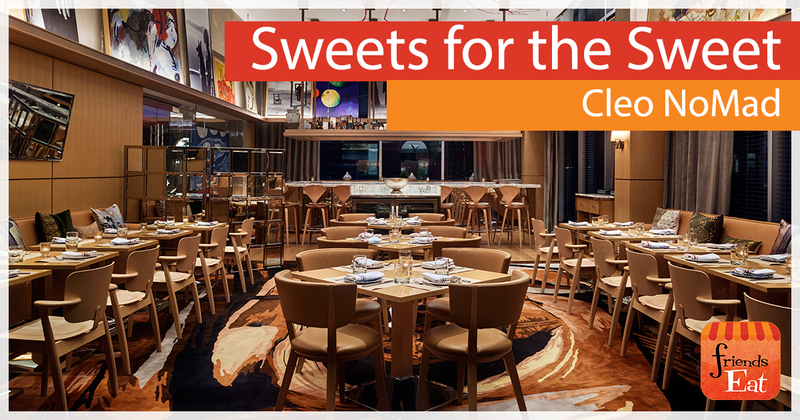 For dessert, diners can indulge in Lemon Meringue Pie, Chocolate Parfait or delicious Fondue for two. 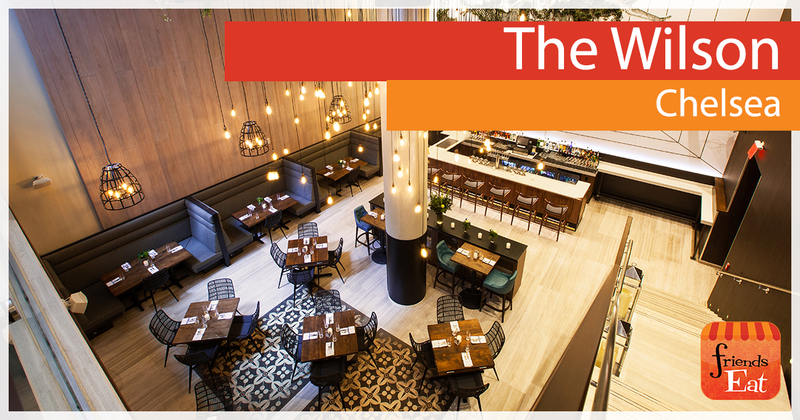 As an added bonus, every Valentine’s Day reservation at Trademark will be automatically entered into a raffle to win a one night staycation at the Executive Hotel Le Soleil New York and dinner for two at Trademark Taste + Grind! 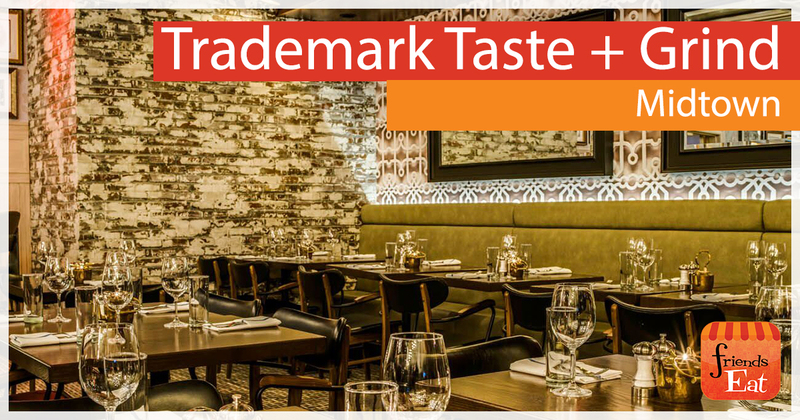 Trademark Taste + Grind’s Valentine’s Day prix fixe menu is available for $75 per person. I’d say that’s a pretty sweet deal! Make Valentine’s Day extra sweet for your sweetheart. Cleo’s $75 prix fixe menu includes a welcome glass of sparkling, white or red wine, three courses, and an after-dinner candy bar to take a little something extra for the road. To start, guests select from one of three starters, then choose between Squid Ink Tagliatelle, Crispy Duck Breast or Brick Poussin. Then finish off with the choice of Apple Galette, Panna Cotta, or Sticky Toffee Pudding. Be sure to save room for the candy bar! For $70 per person, Parker & Quinn in New York’s Garment District is treating guests to a three-course prix fixe dinner with a welcome toast to start. Take your pick of one of three tasty starters before selecting from Long Island Duck, Trademark’s Rigatoni Bolognese or Grilled Swordfish. Finish with the Blood Orange Sorbet or Milk Chocolate Pudding to wrap up your evening of indulgence. At the end of the night, each table will receive a personalized box of chocolates. Is your hunny hungry like the wolf? Then this is the spot for you! 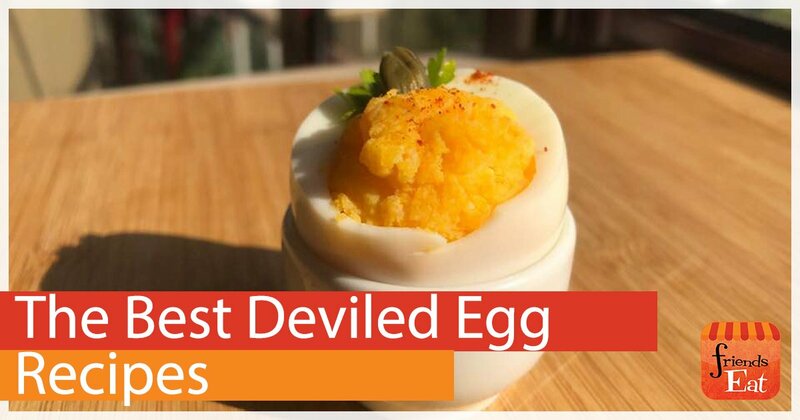 Is that special someone a total carnivore? 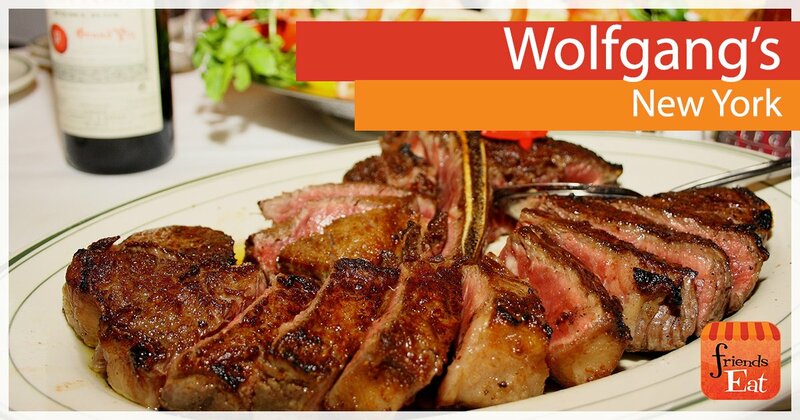 Then why not treat them to Wolfgang’s signature Porterhouse for two. It’s dry-aged in the restaurant’s aging room, seasoned and cooked to perfection. Sure, Wolfgang’s is more of a splurge destination with the average price of sharing a meal for two running about $250, but it is well worth it when that price includes 2 cocktails each, a shared appetizer, shared porterhouse, and a shared dessert! Want a little aphrodisiac action? 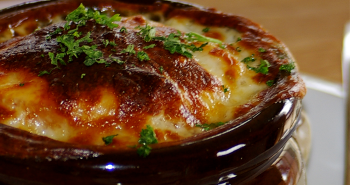 You’ll want some Oysters on the Half Shell, Sizzling Canadian Bacon, or Crab Cake for appetizers, Lobster Mac and Cheese, Sauteed Spinach or Jumbo Baked Potato for sides and, of course, Apple Strudel, Key Lime Pie or Cheesecake for dessert — to name just a few options! Enjoy a nice bottle of red wine from an extensive list, or one of Wolfgang’s signature cocktails – such as the XO Martini (Stoli Vanil, Patron XO, cold brew). Gotham, 16 East 46th Street, 212.490.8300.